Niue is an island nation in the South Pacific Ocean. It is commonly known as the "Rock of Polynesia", and natives of the island call it "the Rock". Though self governing, Niue is in free association with New Zealand, and thus lacks full sovereignty. Queen Elizabeth II is Niue's head of state. Most diplomatic relations are conducted by New Zealand on Niue's behalf. 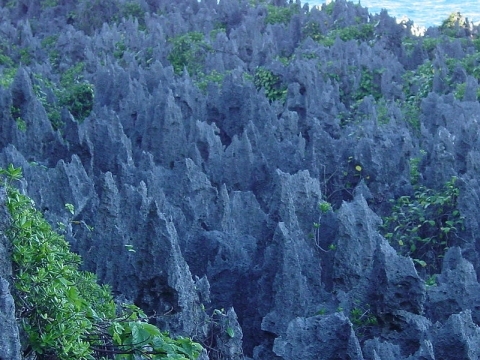 Niue is 2,400 kilometres northeast of New Zealand in a triangle between Tonga, Samoa, and the Cook Islands. The people are predominantly Polynesian. 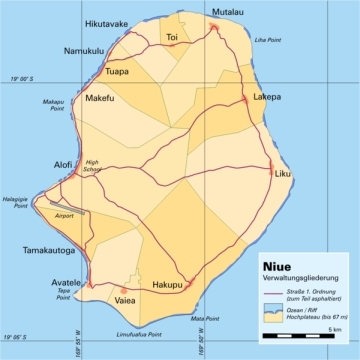 Niue was settled by Polynesians from Samoa around CE 900. Further settlers (or invaders) arrived from Tonga in the 16th century. Until the beginning of the 18th century, there appears to have been no national government or national leader. Before then, chiefs and heads of families exercised authority over segments of the population. Around 1700 the concept and practice of kingship appear to have been introduced through contact with Samoa or Tonga. From then a succession of patu-iki (kings) ruled the island, the first of whom was Puni-mata. Tui-toga, who reigned from 1875 to 1887, was the first Christian king. The first European to sight Niue was Captain James Cook in 1774. Cook made three attempts to land on the island but was refused permission to do so by the Polynesian inhabitants. He named the island "Savage Island" because, legend has it, the natives that "greeted" him were painted in what appeared to Cook and his crew to be blood. However, the substance on their teeth was that of the hulahula, a native red banana. For the next couple of centuries the island was known as Savage Island, until its original name Niu ē, which translates as "behold the coconut", regained use. Its official name is still Niuē fekai (wild Niuē). The next notable European visitors were from the London Missionary Society who arrived in 1846 on the "Messenger of Peace". After many years of trying to land a European missionary on Niue, a Niuean named Nukai Peniamina was taken away and trained as a Pastor at the Malua Theological College in Samoa. Peniamina returned as a missionary with the help of Toimata Fakafitifonua. He was finally allowed to land in Uluvehi Mutalau after a number of attempts in other villages had failed. The Chiefs of Mutalau village allowed Peniamina to land and assigned over 60 warriors to protect him day and night at the fort in Fupiu. Christianity was first taught to the Mutalau people before it was spread to all the villages on Niue; originally other major villages opposed the introduction of Christianity and had sought to kill Peniamina. 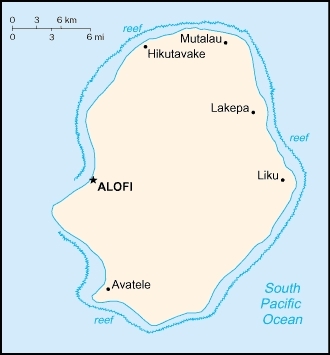 The people from the village of Hakupu, although the last village to receive Christianity, came and asked for a "word of god"; hence their village was renamed "Ha Kupu Atua" meaning "any word of god", or "Hakupu" for short. In 1887, King Fata-a-iki, who reigned from 1887 to 1896, offered to cede sovereignty to the British Empire, fearing the consequences of annexation by a less benevolent colonial power. The offer was not accepted until 1900. Niue was a British protectorate for a time, but the UK's direct involvement ended in 1901 when New Zealand annexed the island. Independence in the form of self-government was granted by the New Zealand parliament with the 1974 constitution. Robert Rex, ethnically part European, part native, was appointed the country's first Premier, a position he held until his death 18 years later. Rex became the first Niuean to receive a knighthood, in 1984. 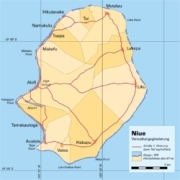 In January 2004, Niue was hit by Cyclone Heta, which killed two people and caused extensive damage to the entire island, including wiping out most of the south of the capital, Alofi. 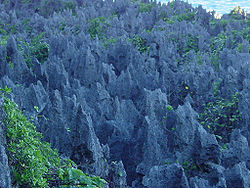 This page was retrieved and condensed from (http://en.wikipedia.org/wiki/Niue) see Wikipedia, the free encyclopedia, July 2009. This information was correct in July 2009. E. & O.E. 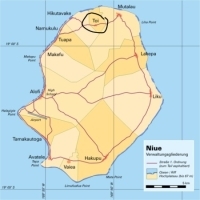 Location of Toi Village on Niue. Toi Village, is one of the larger Niuean settlements with a very active community group for village improvement and social development. 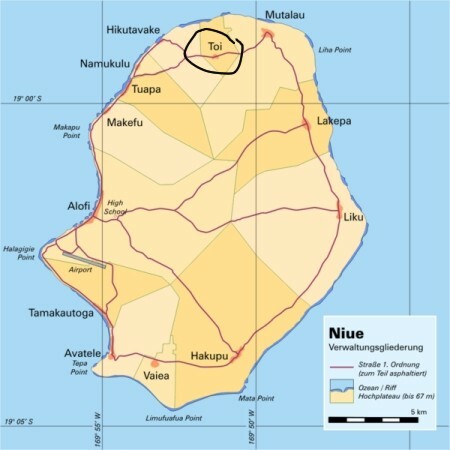 Toi Village is on the northern part of Niue about 5 km southwest from Hikutavaki, northeast of Namukulu and Tuapa, also southwest of Mutalau on the main road. Alofi, Niue's capital is about 14 km away.